What’s more motivating for a student than to participate in research and perhaps make a real discovery. 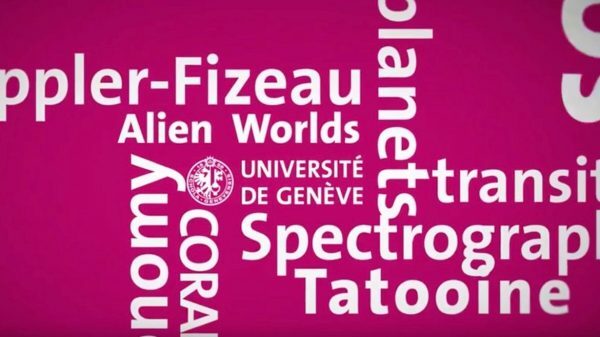 This is what the University of Geneva proposes in its MOOC (Massive Online Open Course) on exoplanets, a MOOC which at its first broadcast in 2015 met a huge success as more than 20’000 people attended this course . An important number that has aroused the enthusiasm of its promoters, ” if one could exploit the time of all these people to analyze real data, scientists may gain analysis time” considers Pablo Achard, deputy director at the University of Geneva, “a little like for the SETI@home program but instead of the computers of the participants our MOOC would use their brains “. The University of Geneva has then commissioned a lemanic startup to develop a project. Bernard Revaz and Attila Szantner founding members of MMOS, a startup specialized in the connection between scientific research and video games, took data from the Kepler satellite and made them accessible through the MOOC exoplanets. The idea is to display the light curves of thousands of stars recorded by the satellite and to ask students to detect possible transits. The students opinions are then compared and if a majority of them think that a transit actually took place for a certain star then the result is communicated to the researchers of PlanetS. “This is a trial balloon, although the Kepler data has already been analyzed by NASA algorithms, they have the advantage of providing curves of light which can be integrated into the MOOC “explains Pablo Achard,” what interests us in the longer term is to be able to exploit the future NGTS data in the same way “. Astronomers of PlanetS find the approach very interesting. “It’s a great tool to motivate students,” says Stéphane Udry, “if a new planet is discovered through this process, students can be invited to perform physical measurements on the detected object: duration of transit, frequency, number of planets”adds the NCCR co-director. All this may allow them to better understand the work of the researchers and therefore the underlying physics . Adapting Kepler’s light curves, making them comprehensible and usable by beginners required a big effort of layout and programming. The University has therefore invested 130,000 francs in the project, and after several round trips between the MOOC designers and the MMOS programmers, the course is ready to be put online, “an investment worthwhile and that will strengthen the international visibility of the University of Geneva and the NCCR PlanetS “said satisfied Pablo Achard,” it allows more to mix teaching and research online as they are within the University “. However, MMOS partners have already mentioned another possibility: to introduce scientific data into video games. “There we are no more talking about some 20,000 users,” enthuses Bernard Revaz of MMOS, “but many millions, who all over the world would be aware of the research on exoplanets in general and of the NCCR PlanetS in particular”. The idea is to include in some galactic conquest game the star light curves analysis. “We could ask the player if, looking at a light curve, he thinks he is in the presence of a planetary system, whether the planet is livable, whether he can set up a colony, etc.” explains Bernard Revaz,” we would thus receive in return an analysis of tens of thousands of players that could help astronomers to discover new objects “. Stéphane Udry is seduced, he sees in this ludic approach of citizen science (or participatory) not only a way to have thousands of eyes dedicated to the analysis of data but also a fantastic way to sensitize a layer of the population Which, although attracted by space, does not always have access to the progress of astronomy. A MOOC (massive online open course) is a free and open course broadcasted on the Internet, no prerequisite is required from the participants. Only the issuance (optional) of the certificates is chargeable. A MOOC is structured into three components, video lessons, assignments and assessment exercises, and tools for student interactions. A MOOC lasts between 4 and 12 weeks. In recent years UniGe has offered MOOCs in several fields of study, such as law, medicine, theology and, of course, science. NGTS (New Generation Transit Survey) is the new facility set up by the European South Observatory (ESO) to detect exoplanetary transits. It is the first network of telescopes hosted, although not operated by ESO, on the Paranal site in Chile. 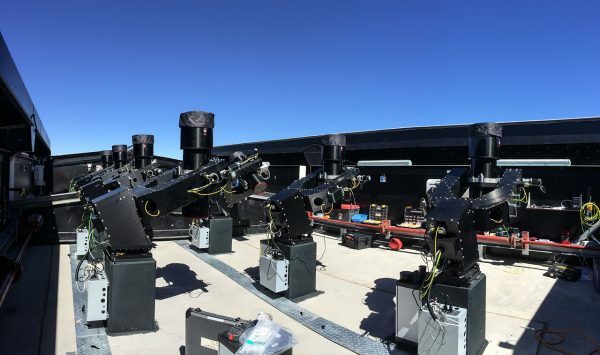 This new instrument, developed by a European consortium formed by Switzerland (UniGe), the United Kingdom and Germany, consists of 12 automated 20 cm diameter telescopes installed near the VLT. These telescopes are capable of detecting exoplanets 2 to 8 times larger than Earth and continuously monitor hundreds of thousands of stars. A large amount of the transits detected by NGTS can not be done automatically and will require the human eye.